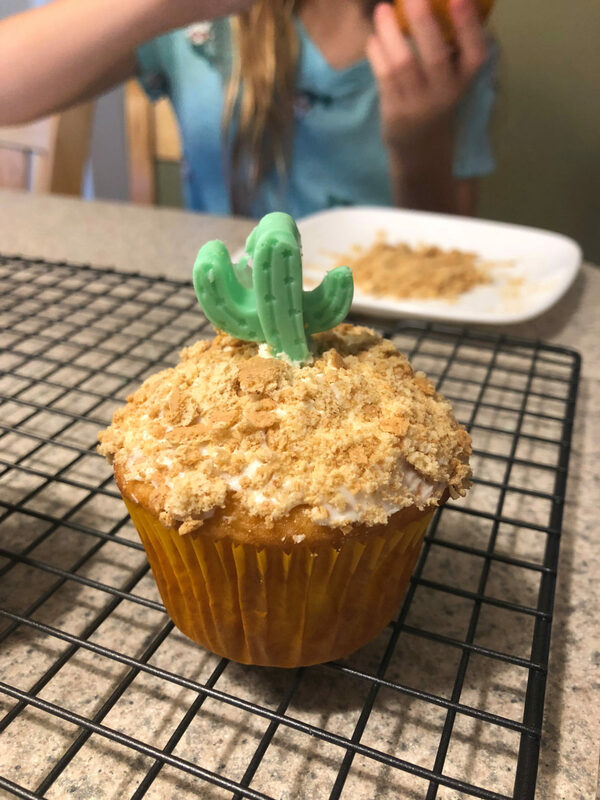 My daughter loves to bake, and when she found a cactus-shaped mold at the craft store, she knew she wanted to design a themed cupcake. 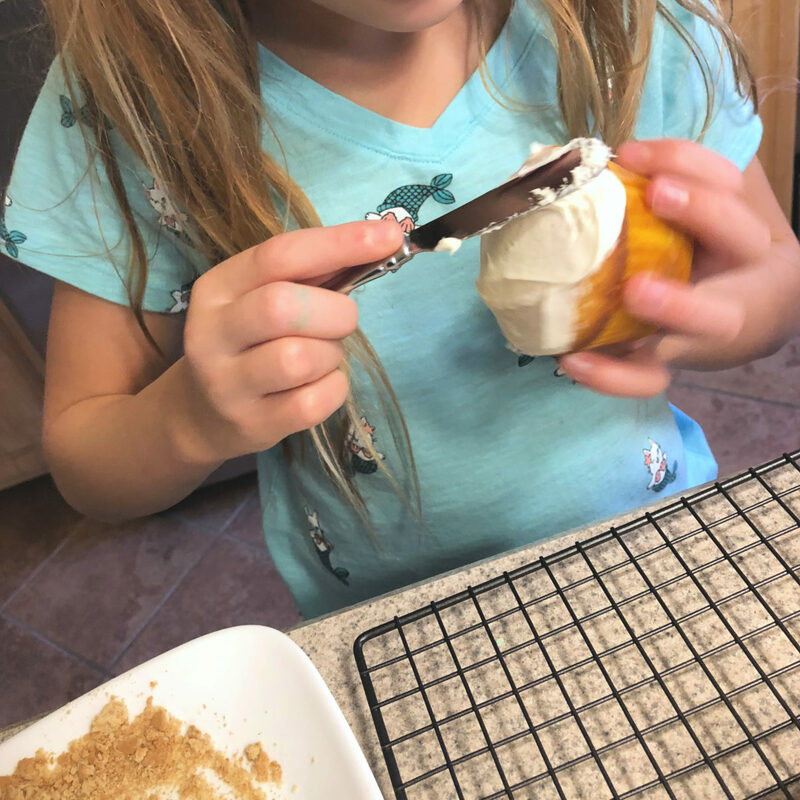 These are very easy to make, and my 9-year-old came up with the idea and carried it all out on her own, with just a little bit of help. 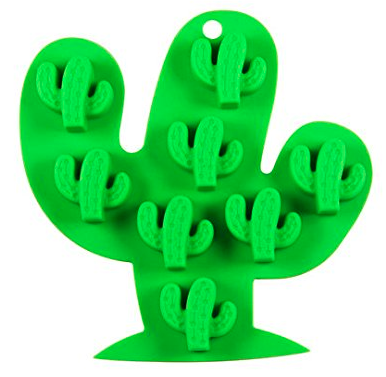 The first step was making the mini cacti using the mold, which we found at Michaels, and you can find at Amazon. 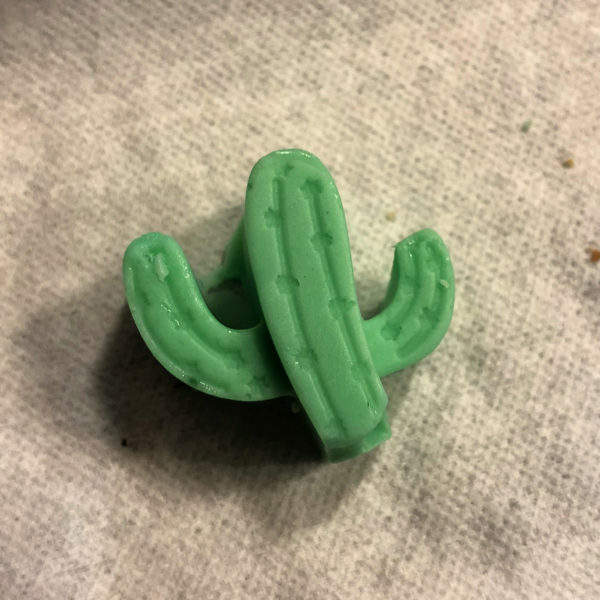 We heated up white chocolate and mixed it with green food coloring, then piped it into the molds – which was a little harder than we anticipated. It turns out food coloring can cause chocolate to bind (which it did – instead of the chocolate getting softer as we heated it, it got lumpy and hard). 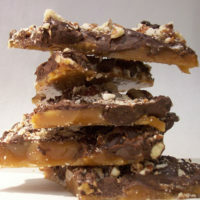 I recommend using the melting chocolates or brushing the color onto regular chocolate. Since my daughter has a nut allergy, the pre-colored chocolate was out of the question, but we managed regardless! I would say the hardest part was getting the chocolate out of the mold, so finding green chocolate is probably your best bet. 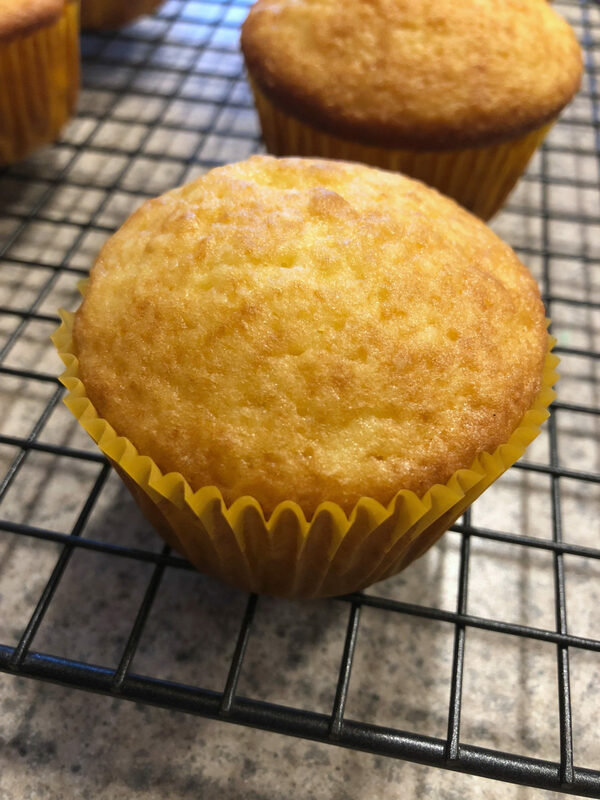 For the cupcakes, we made regular cupcakes from a box mix. Really, I don’t think you need to worry about what color they are, since they will be covered with frosting anyway. Once the cupcakes had cooled, we frosted them. We considered mixing frosting to make a light brown color, but ours turned out fine with white frosting. 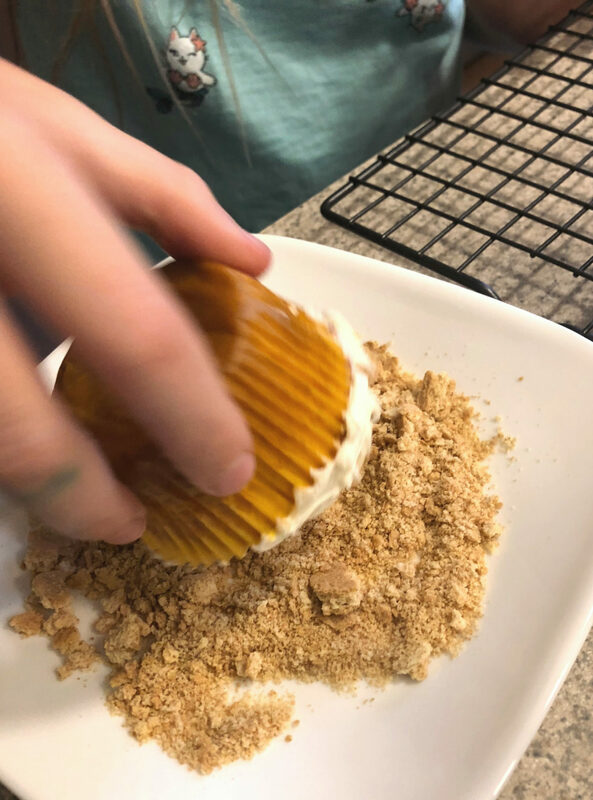 Next, we crumbled up some graham crackers in a baggie, poured them on a plate, and dabbed the frosted cupcake in the crumbs to create the “desert sand”. Lastly, my daughter placed the chocolate cacti on top of the cupcakes. 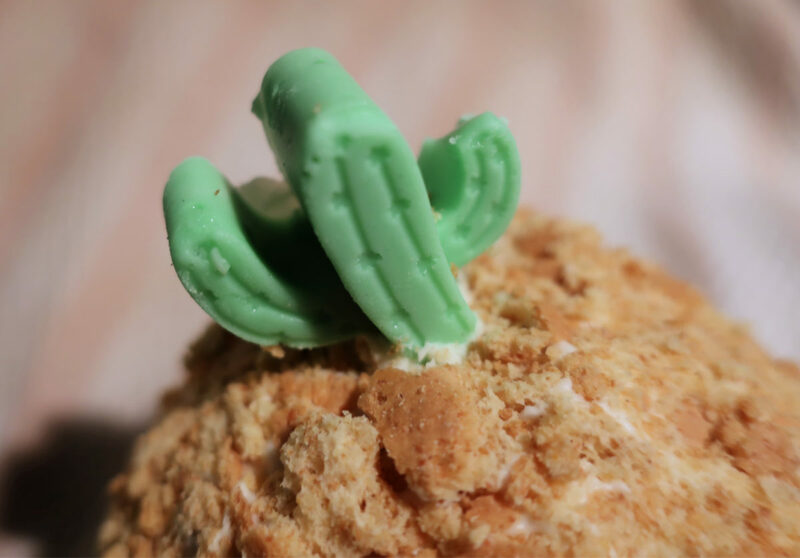 The stems on the cacti are short, so we added a little extra frosting for “glue” as needed. 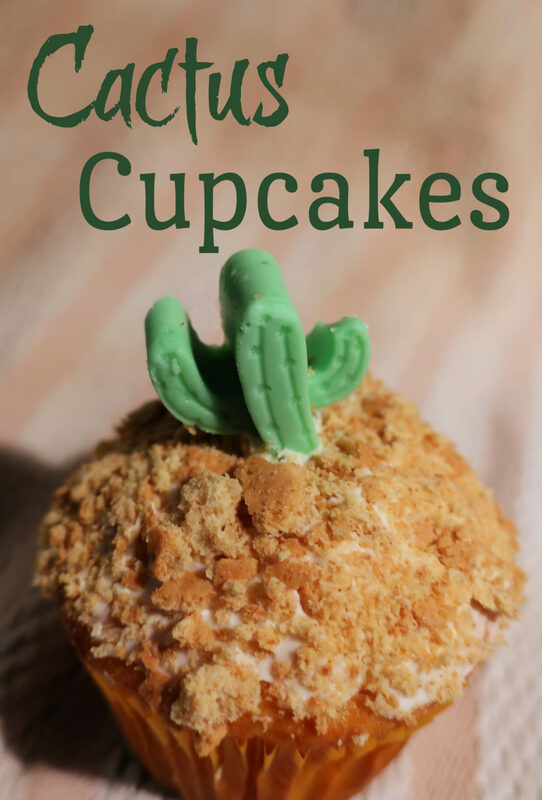 The cactus cupcakes were easy to make, and we had fun constructing them. 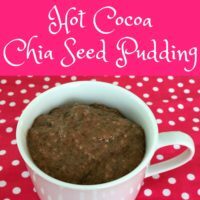 The little chocolate cacti are adorable, and this is a cute baking project – not to mention it tastes great too! 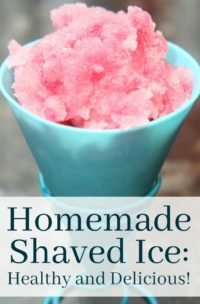 Homemade Shaved Ice: Healthy and Delicious! 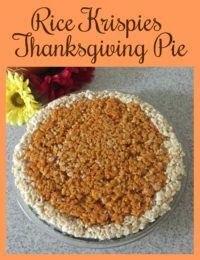 This is so neat she like and does bake on her own (well with help) I think the graham cracker ‘sand’ is brilliant. Yes green food coloring is a bit of a chore! Those are so cute! I do think you have a baking artist on your hands! She has quite the vision. This is such a cute idea. 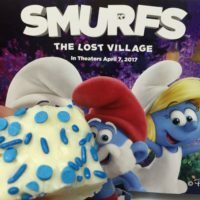 I really love being able to get decorative with my foods, the cupcakes and toppings make me want to get into the kitchen. I have so many ideas now, thanks for sharing! 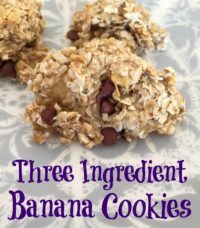 These are super adorable! I want to find a way to incorporate this into a homeschooling lesson. Oh my goodness, those are so stinking cute!! I love finding cute molds like that on Amazon. I buy them all the time. Too fun!